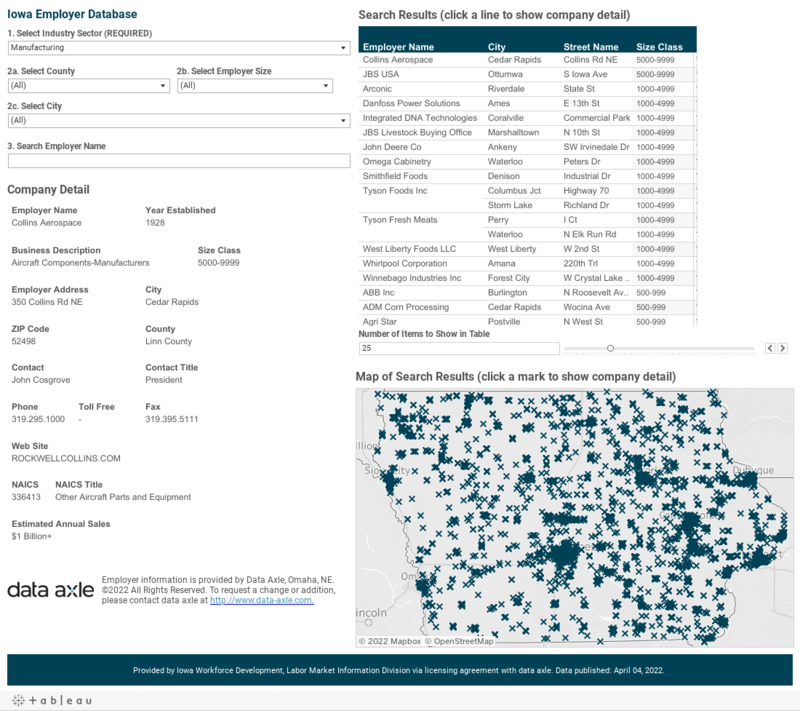 Information and data in the Employers Database tool is not gathered or developed from the Unemployment Insurance (UI) files of Iowa Workforce Development. The source of this information is the national Infogroup® database. The Employer Database is licensed only for career exploration, job search, job development, employment support services and related public workforce and public economic development system efforts. Please use the Labor Market Information Division's contact information at the bottom of this page for assistance in obtaining this data if it is not accessible through the tool below. Express Update - To update, modify or add a business listing.